Miniature donkeys where first imported to the United States in the late 1920's from the islands of Sicily and Sardinia. In the Mediterranean they where used as beasts of burden, living a life of hardship. 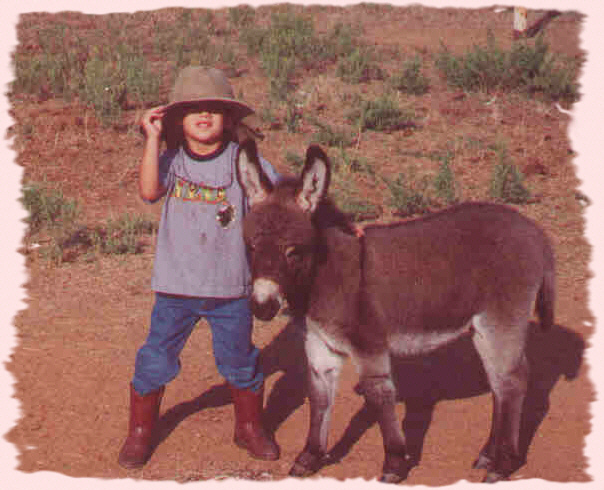 On their native islands the little mini donkeys are now extinct. The original importers were wealthy American families who kept these little pets on their estates as extended family. On original import records from this time you can see that the favorite color to import was "mouse" color----gray. Of course there are many colors of gray from a silver to a gun metal gray. Also, many colors of brown are in the original import bloodlines------tan to a brown/black.